In a new report entitled “The New Coviewing,” professor Reed Stevens describes the kind of shared engagement with media that is most productive for adults and kids. The report identifies seven principles for fostering the ideal type of joint experiences with media — from television to iPads, computers and video games. Stevens uses the terms “the new coviewing” and “joint media engagement” to refer to the spontaneous and designed experiences of people using media together. He and his co-author Lori Takeuchi issued their report through the Joan Ganz Cooney Center at Sesame Workshop and LIFE Center, based on the educational potential for screen-based or interactive media when they involve social interactions. One of the key premises of the report is that context can matter as much as content. In other words, what happens between people related to media can be as important as what is designed into the media. This focus on what people do together with media highlights a different approach both to research and to design. “The ultimate goal of the emerging work represented in this report is to better understand young children’s everyday uses of media, in context, so that we may build better media-based learning experiences for them,” the authors state. According to the report, several processes are at work in joint media engagement that is productive for learning. First of all, partners are mutually engaged in the activity, and they collaborate to make meaning of the situation. They also co-create by using the media to build things such as artifacts or understandings. In addition, productive joint media engagement crosses boundaries by extending to different times and settings, and it focuses on content, not control. Finally, at least one partner has the intention to develop and grow through the activity. Develop kid-driven tools and experiences. Offer multiple planes of engagement to entertain and challenge all parties. Differentiate roles so that partners are suitably challenged and motivated. Provide scaffolds and cues for the more capable partner. Consider how a media resource can build on a child’s past experiences. Give partners opportunities to co-create. Consider the fit with existing routines, schedules and practices. One of the research studies detailed in the report is Stevens’s recent study that videotaped young children watching television at home in their everyday lives. The research provides new insights such as these: co-viewing is often initiated by children, learning does not always relate to the goals of the show, co-viewing is more likely to occur when a TV is in a central area of the home, and joint media engagement occurs with siblings and peers along with parents. “At the most basic level, we have too narrow a picture of how people are using media together and what and how they are learning while doing so,” the authors say. Future research should explore the qualities of media design that encourage shared engagement; a wide spectrum of families; the ecologies of time, space and attention in families’ lives; joint media engagement in schools and other educational environments; and the changing needs of children at different ages and stages. The report also presents producers with factors to consider when making decisions about the design of a media resource and what happens around it. 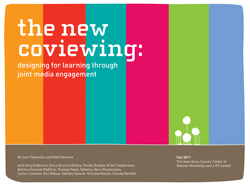 The New Coviewing Workshop held at the School of Education and Social Policy in November 2010 was a source of these ideas. The daylong event brought together learning scientists, developmental psychologists, communication scholars, media producers and philanthropists to identify key challenges in researching and designing for joint media engagement. 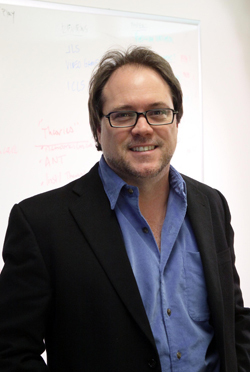 Stevens is a professor of learning sciences at SESP. His research interests focus on learning and activity in a wide range of places and situations, as well as the design of learning tools — curricula, activities, and technologies. Stevens has a PhD in cognitive studies in education from the University of California at Berkeley. He co-heads the Learning in Formal and Informal Environments (LIFE) Center, with major funding from the National Science Foundation.